The stock market crash in the autumn of 1987 is labeled as one of the sharpest markets down in history. Stock markets around the world plummeted in a matter of hours. The Black Monday, as it is labeled, is market as one of the major contemporary global financial crisis after the great depression that hit the global market between 1929 and 1941 (Markham, 2002). In the US, the stock market crash was marked by the 22.6 percent drop in a single trading session of the Dow Jones Industrial Average (DJIA). In the years leading up to the stock market crash on October 19, 1987, there was an extension of a continuation of a highly powerful bull market. At this period, running from 1982, the market had started to embrace globalization and the advancement in technology. In the years 1986 and 1987, the bull market was fueled by hostile takeovers, low-interest rates, leveraged buyouts and increased mergers (Bloch, 1989). The business philosophy at the time encouraged exponential business growth by acquisition of others. At the time, companies used leveraged buyouts to raise massive amounts of capital to fund the procurement of the desired companies. The companies raised the capital by selling junk bonds to the public. The junk bonds refer to the bonds that pay high-interest rates by the virtue of their high risk of default. Initial public offering or IPO was another trend used to drive market excitement. During that time of increased market activity, the US Securities, and Exchange Commission (SEC) found it extremely hard to prevent shady IPOs and the existing market trends from proliferating. In the events leading to the stock market crash, the stock markets witnessed a massive growth during the first half of 1987. The Dow Jones Industrial Average (DJIA) had by August that year gained a whopping 44 percent in just seven months. The ballooned increase in sales raised concerns of an asset bubble. The numerous news reports about a possible collapse of stock markets undermined investor confidence and further fueled the additional volatility in the markets. At the time, the federal government announced that there were a larger-than-expected trade deficit and this lead to the plunge of the dollar in value. Earlier in the year, the SEC conducted investigations on illegal insider trading that spooked the investors (Bloch, 1989). High rates of inflation and overheating were experienced at the time due to the high level of credit and economic growth. The Federal Reserve tried to arrest the situation by quickly raising short-term interest rates to decrease inflation, and this dampened the investors’ enthusiasm in the market. Markets began to show a prediction of the record loses that would be witnessed a week later. On October 14th, some markets started registering significant daily losses in trading. At the onset of the stock market crash, many institutional trading firms began to utilize portfolio insurance to cushion them against a further plunge in stock (Markham, 2002). The portfolio insurance hedging strategy uses stock index futures to shield equity portfolios from broad stock market declines. In the midst of increased interest rates, many institutional money managers tried to hedge their portfolios to cushion the businesses from the perceived stock market decline. The stock markets had started plunging in other regions even before the US markets opened for trading that Monday morning. On October 19, the stock market crashed. The crash was caused by the flooding of stock index futures with sell orders worth billions of dollars within a very short time. The influx of the sell orders in the market caused both the futures and the stock market to crash. Additionally, due to the increased volatility of the market, many common stock market investors tried to sell their shares simultaneously and which overwhelmed the stock market. On the same day, the 500 billion dollars in market capitalization vanished from the Dow Jones Stock Index within minutes. The emotionally-charged behavior by the common stock investors to sell their shares led to the massive crash of the stock market. Stock markets in different countries plunged in a similar fashion. The knowledge of a looming stock market crash resulted in investors rushing to their brokers to initiate sales of their assets. Many investors lost billions of investment during the crash. The number of sell orders outnumbered willing buyers by a wider margin creating a cascade in stock markets. Following the 19th October 1987 crash, most futures and stock exchanges were shut down in different countries for a day. The Federal Reserve in a move to reduce the extent of the crisis, short-term interest rates were lowered instantly to avert a recession and banking crisis. The markets recovered remarkably from the worst one-day stock market crash. 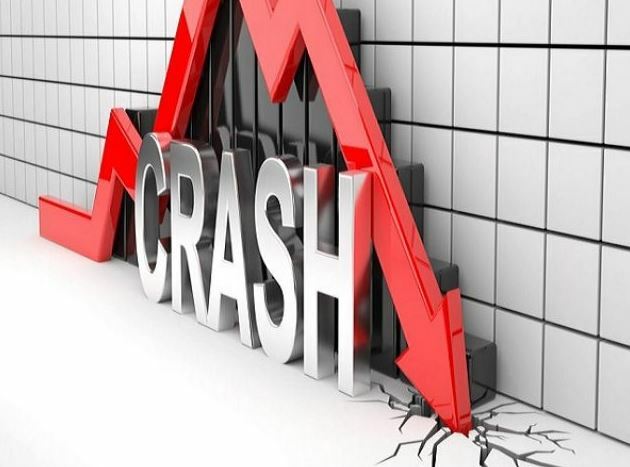 In the aftermath of the stock market plunge, regulators and economists analyzed the events of the Black Monday and identified various causes of the crash. One of the findings shows that in the preceding years, foreign investors had flooded the US markets, accounting for the meteoric appreciation in stock prices several years before the crisis. The popularization of the portfolio insurance, a new product from the US investment firms was found to be a cause of the meltdown in stock markets. The product accelerated the pace of the crash because its extensive use of options encouraged further rounds of selling after the initial losses. Soon after the crisis, the economists and regulators identified some flaws that exacerbated the losses experienced in the stock market crash. These flaws were addressed in the following years. First, at the time when the crisis hit the market, stock, options, and futures markets used different timelines for clearing and settlement of trades. The differences in timelines for clearing and settlements of trades created a potential for negative trading account balances and forced liquidations. At the time of the crisis, the securities exchange had no powers to intervene in the large-scale selling and rapid market declines. Soon after the Black Monday, the trade-clearing protocols were overhauled to bring homogeneity to all important market products. Other rules known as circuit breakers were introduced, enabling exchanges to stop trading temporally in the event of exceptionally large price meltdowns. Under current rules, for instance, the NYSE is mandated to halt trading when the S&P 500 stock exchange plunged by 7%, 13%, and 20% (Markham, 2002). The reasoning behind the formation of this rule is to offer investors a chance to make informed decisions in cases of high market volatility. The Federal Reserve responded to the crisis by acting as the source of liquidity to support the financial and economic system. The Federal Reserve also encouraged banks to continue lending money to securities firms on their usual terms. The intervention of the Federal Reserve after the Black Monday restored investors’ confidence in the central bank’s ability to restore stability in the event of severe market volatility. The intervention of the Federal Reserve made securities firms recover from the losses encountered in the Black Monday crisis. The DJIA gained back 57% or 288 points of the total losses incurred in the black Monday crisis in two trading sessions (Bloch, 1989). In a period of less than two years, the US stock markets exceeded their pre-cash highs. The world economy faced one of the most severe recessions in 2008 since the great depression of the 1930s (Landuyt, Choudhry, Joannas, Pereira, & Pienaar, 2009). The meltdown began in 2007 when the high home prices in the US began to drop significantly and quickly spreading to the entire US financial sector. The crisis later spread into other financial markets overseas. The financial crisis hit the entire banking industry; two government-chartered companies to provide mortgages, two commercial banks, insurance companies, among others like companies that rely heavily on credit. During the crisis, the share prices dropped significantly throughout the world. The Dow Jones Industrial Average recorded a 33.8% loss of its value in 2008. Derivatives are defined as financial contracts that obtain their value from an underlying asset. These financial contracts include; stocks, indices, commodities, exchange rates, currencies, or the rate of interest. The financial instruments help in making a profit by banking on the future value of the underlying asset. Their derivation of value from the underlying asset makes them adopt the name, “Derivatives.” However, the value of the underlying asset changes from time to time. For instance, the exchange rate between two currencies may change, commodity prices may increase or decrease, indices may fluctuate, and stock’s value may rise or fall (Santoro & Strauss, 2012). These variations can work for or against the investor. The investor can make profits or losses according to these changes in the market. The correct guessing of the future price could lead to additional benefits or serve as a safety net from losses in the spot/cash market, where the trading of the underlying assets occurs. Standard derivatives are usually traded on an exchange. Other types of derivatives are traded over the counter and are unregulated. The use of derivatives can be dangerous when used for investment or speculation without enough supporting capital. Various factors caused the financial crisis of 2008; derivative trading was among them. Financial innovation can be associated with the 2008 fall in the global financial market. The financial innovation invented derivative securities that claimed to produce safe instruments by diversifying/removing the inherent risks in the underlying assets. The financial innovations, however, did not reduce the inherent risk but increased it (Santoro & Strauss, 2012). Derivative instruments were created to help manage risks and create insurance against a financial downturn. In the period leading to the 2008 financial crisis, the intentions of the derivatives have been entirely altered. The derivatives were initially invented to defend against risks and protect against the downside. However, in 2003-2007, the derivatives became speculative tools to make more risk in a move to make more profits and returns. During this period, securitized products which were difficult to analyze and price were traded and sold. Additionally, many positions were leveraged with the aim of maximizing the profits gained from trading the derivatives. Banks created securitized instruments and sold them to investors. The Federal National Mortgage Association rolled out a concerted effort to make home loans more accessible to citizens with lower savings than the required amount by the lenders. The reasoning behind this idea was to help each American citizen acquire the American dream of home ownership. However, the banks issued poor underlying credit quality which was passed on to the investors. The information that the rating agencies offered the investors about the certification of the quality of the securitized instruments was not sufficient (Allen, 2013). Usually, derivatives ensure against risk if used correctly, in the case of the events leading to the financial crisis of 2008, neither the borrower nor the rating agency understood the risks involved. In the turn of events in the meltdown, the investors got stuck holding securities that proved to be as risky as holding the underlying loan. The banks were as well stuck because they held many of these instruments as a way of satisfying fixed-income requirements. They used the assets as collateral. In the years leading to the financial plunge, banks borrowed funds to lend so as to create more securitized products. Consequently, most of the instruments were created using borrowed capital or margin meaning that the financial institutions did not have to issue a full outlay of capital. The use of leverage (the use of different financial instruments or borrowed capital like margin to increase the potential profit of investment) magnified the crisis. Credit default swaps also played a part in the crisis. Unlike options and futures, CDSs are traded in over-the-counter (OTC) markets meaning that they are unregulated. In the period before the financial bubble, the advantageous leverage, and convenience of the CDSs made dealers rush to issue and purchase CDSs written only in debt that they did not own. The derivatives on different underlying assets are traded in unregulated markets. Derivatives such as CDSs are not widely understood since they are not exchange traded (Allen, 2013). Counterpart default risk in OTC markets produces a series of inter-dependencies among market actors and creates room for risk volatility. The result of this is a systemic risk as witnessed in 2008 in the case of Lehman Brothers Holdings Inc. the lack of transparency in the OTC markets played a part in the occurrence of the economic bubble in 2008. The OTC derivatives and risks associated with them were priced incorrectly, and it overwhelmed the financial market during the recession. Allen, S. (2013). Financial risk management. Hoboken, N.J.: Wiley. Bloch, E. (1989). Inside investment banking. Homewood, Ill.: Dow Jones-Irwin. Landuyt, G., Choudhry, M., Joannas, D., Pereira, R., & Pienaar, R. (2009). Capital market instruments ;Analysis and valuation. Basingstoke: Palgrave Macmillan. Markham, J. (2002). A financial history of the United States. Armonk, N.Y.: M.E. Sharpe. Santoro, M. & Strauss, R. (2012). Wall Street values. Cambridge: Cambridge University Press. Did you find any useful knowledge relating to the analysis of the stock market crash and global financial crisis in this post? What are the key facts that grabbed your attention? Let us know in the comments. Thank you. Investment appraisal is normally undertaken by a company before committing to any form of high-level capital spending. The appraisal has two main features including the assessment of the level of returns expected that could be earned from the investment made and an estimate of the future benefits and costs in the span of the project (Ross et al. 2010). In this regard, long-term forecasting is important for estimates of future benefits and costs especially in the purchase of the non-current asset. 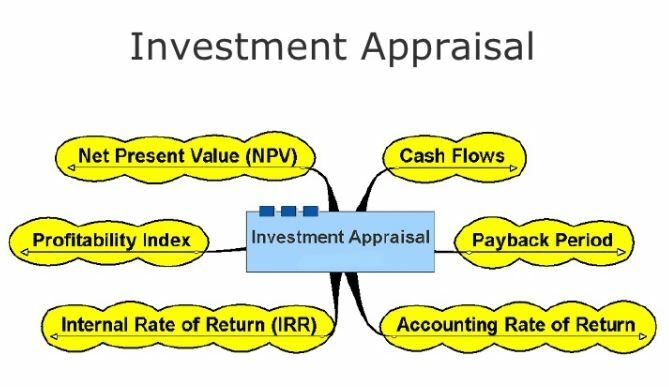 There are several techniques for investment appraisal, but the two most basic include the payback and return on capital employed (ROCE). ROCE follows the same principle with the accounting rate of returns as they both relate the investment and the accounting profits (Lumby & Jones 2001). It is computed by getting the percentage of average pre-tax annual profits to the initial capital costs. The method has the advantages of simplicity, especially in the computation. This is because it gives a percentage that indicates the rate of return expected from an investment that is familiar to the management. Also, the technique can be easily linked to other accounting measures (Lumby& Jones 2001). However, the method has disadvantages in that it cannot account for project life, the timing of cash flows and mostly varies depending on policies of accounting employed. Additionally, the method ignores working capital and fails to measure the absolute gain attained while it still lack definitive signal for investment (Watson & Head 2010). The ROCE technique is quite popular in the assessment of the business performance after the investments are completed (Haka 2006). This technique is widely used as a measure of the business performance as well as to measure the performance of the management (Lumby & Jones 2001). It is most commonly used in the privately owned businesses as it depicts an increase of wealth for the owner. Also, it can be applied in the expression of the financial goals of a business (Watson & Head 2010). Both independent and mutually exclusive projects can employ the ROCE technique. For example, if a project needs an investment of $800,000 and earns cash inflows of 100, 200, 400, 400, 300,300, 200 and 150 in terms of thousand dollars in a span of seven years. In addition the assets will be sold at $100,000 at the end of the seven years. The ROCE for this project will be 18.75%. The decision rule as to accept the project or not is determined by looking at the expected ROCE and the hurdle rate from the management. If the expected ROCE is more than the target rate, then the project is accepted (Haka 2006). The popularity of this techniques has however been declining most probably due to the inflation rates that have led to higher interests rates making the decision-making process difficult. In this case, the method is best suited for short-term business approaches (Haka 2006). Payback period, by definition, is the rough estimate of the time taken to recoup the investments made in a project (Lefley 1996). This technique has two variants: discounted and simple payback periods. The periods are calculated by computing the quotient of initial investment divided by annual cash flow (Lefley 1996). This investment appraisal method has the advantages of simplicity and can use the cash flows and not the accounting profits. This is because the profits in the company cannot be sent and are subjective (Watson & Head 2010). Also, cash is used as the dividends have to be paid. For instance, an expenditure of $2million to get cash inflows of $500,000 per year for some seven years can be assessed using payback. The estimated period will be 4 years and the cumulative cash flow would change over the years. The decision rule in using payback is that the objects that pay up to the specified target payback should be accepted (Wambach 2000). Also, the fastest paying option is always considered. Also, payback has proven to be very useful in some conditions such as in the improvement of the investment conditions and adaptation to the rapidly changing technology (Lefley 1996). Additionally, the technique maximizes the liquidity, increases company growth while still minimizing the risk. Despite the numerous advantages, the payback method also has some limitations (Wambach 2000). It does not take into consideration the returns that occur after the period and also disregards the cash flow timings although this can be done by the discounted payback period. In the same regard, it does not provide a definitive investment signal making the method subjective (Lefley 1996). Lastly, the payback method does not take into account the profitability of the project. The best of the methods in this case would be the payback. This is especially because of the cash flows involved in the projects. The method puts into consideration the time as well as the value for money. Payback is also invaluable especially in the world of unlimited resources and the information provided is understandable (Lefley 1996). ROCE and payback period are both classical techniques in investment appraisal (Wambach 2000). Industries are divided among the two methods although it is possible to utilize both although the non-finance managers prefer to use ROCE (Ross et al. 2010). In this regard, two decisions could be made. For instance, a project could be accepted if the ROCE is below 13% and it can payback within four years (Watson & Head 2010). The forecasts are important for any business before embankment of any project. Although the investment appraisal may but produce accurate results, it would be important to use as many techniques to avoid losses. Spending on too much on current assets is unrealistic, and the forecasts need to be very careful in order for the best possible value to be gotten. Although several methods for the investment appraisal exist, the return on capital employed and payback remains the most popular one especially with the managers with low skills on finances. Lefley, F 1996, ‘The payback method of investment appraisal: a review and synthesis’, International Journal of Production Economics, 44(3), 207-224. Wambach, A 2000, ‘Payback criterion, hurdle rates and the gain of waiting’, International Review of Financial Analysis, 9(3), 247-258. Lumby, S, & Jones, C 2001, Fundamentals of investment appraisal, Cengage Learning Business Press. Haka, S F 2006,‘A review of the literature on capital budgeting and investment appraisal: past, present, and future musings’ ,Handbooks of Management Accounting Research, 2, 697-728. Ross, S, Hillier, D, Westerfield, R, Jaffe, J, & Jordan, B2010,‘Corporate Finance’, Second Edition. Watson, D, & Head, A 2010,Corporate finance: principles and practice, Pearson Education. If you enjoyed reading this post on Investment appraisal techniques, I would be very grateful if you could help spread this knowledge by emailing this post to a friend, or sharing it on Twitter or Facebook. Thank you. Emerging Markets: Foreign direct investment (FDI) constitutes one of the main modes of market entry which has been used by a growing number of multinational enterprises (MNEs) to achieve growth. Through FDI firms engage in a special form of capital flows which involves the relocation of capitals, as well as intangible assets such as management skills and production know-how. As underscored in extant literature on international trade, the benefits of FDI are experienced by both the foreign firm and host country. Put differently, FDI results into a mutually beneficial relationship in which case the foreign firm benefits from a larger market for its products and access to important inputs while the host nation benefits from increased trade and a multiplier effect. While licensing and export provide less risky paths to foreign market entry, research based on the market failure theory attributes the growing preference for FDI to the need by firms to make full gains from their capital. 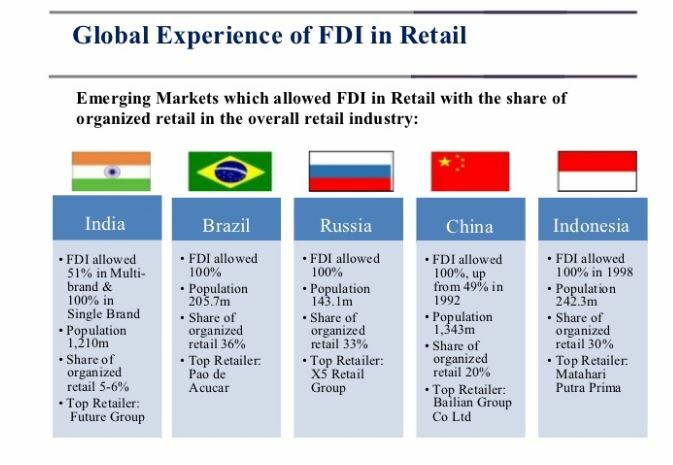 Traditionally, FDI flows have been from developed countries to other developed countries. Countries such as the United States, United Kingdom and Japan have in particular been major players in inward and outward FDI. In year 2000, US received 22% of the world’s FDI while countries in the EU cumulatively received an estimated 49% of the FDI. This trend marked by the flow of FDI from developed to developed countries is however changing. The last decade has in particular been marked by a trend in which FDI flows are from developed countries to emerging countries such as the BRIC (Brazil, Russia, India and China). In terms of competitiveness in FDI and international trade in general, emerging countries have for long been considered as uncompetitive. Developed nations have traditionally crowded out developing countries in international trade due to several barriers. As an example, it is until recently that developing countries have become more open to international trade and their exports have mainly comprised of primary products. They also face a host of barriers revolving around national policy, credit constraints and technological limitations among others. Despite these barriers emerging countries have in the last decade emerged as equally competitive players at the international front. Academics have even pointed out that emerging markets are in the current times more competitive than developed markets. The researchers justify this assertion by pointing out that an analysis of corporate profitability in both economies shows significantly different results. In the developing world, the dynamics of competition are such that both the short-term and long-term persistence in profitability of organisations is lower than that of the developed world. To a large extent, this is a clear indicator that competition in the developing world is more intense. While focusing on inward FDI, the present research determines why China has become one of the most competitive emerging markets in this form of international trade. Did you find any useful knowledge relating to the competitive dynamics in emerging markets in this post? What are the key facts that grabbed your attention? Let us know in the comments. Thank you. Capital structure is one of the paramount elements which a firm should consider when undertaking its short term and long term projects. Well, the balanced capital structure enables the company to achieve strike off the balance of growth‚ Continuous improvement and growth‚ risk mitigation thus ensuring production goes on uninterrupted. 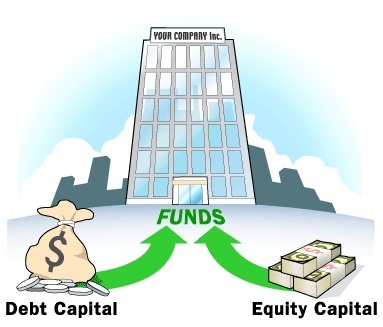 For this matter the paper analysis the factors to consider when setting the capital structure‚ advantages of proper debt-equity management and lastly the risks of having improperly balanced capital structure when financing various operations. Finally‚ evaluation of best financial management techniques which can help to ensure organizational goals are achieved without compromising its operations. Enterprises should maintain the proper balance of the capital structure which entails attaining the reasonable level of equity-debt level. Furthermore‚ it is recommendable that there should be the efficient matching of liability to asset level, this implies that only long-term projects should be. Financed by the long-term liabilities and vice versa for short-term projects which should be funded by use of the short-term sources of the funds. Lack of this aspect will compromise the value of the firm which can lead to financial distress in its advance levels‚ as debt capital is very much expensive source of fund (Ding, Wu, & Zhong, 2016‚p 328). For instance use the short-term loans to build rentals with the anticipation they will raise some money which can be used to service the loan repayment can ditch the firm in financial problems especially when the building fails to get occupants. It should be noted that returns on some projects are probabilistic whereby there is no consistency of their returns as market forces of demand and supply are unpredictable. Thus market assessment and evaluation should be carried out to prevent such advance results which can jeopardize the firm’s operations. Cost-benefit‚ the companies should come up with the capital structure which yields the highest return with the least risk involved. For instance, if the shareholders capital is capable of financing the operations of the firm or they have sponsors. Dong, Yanmin, Kaul, Charles ‚Yui, and Tsang, (2016‚p 200) noted that having these organization helps in achieving proper control and management of capital structure The management should opt to maintain the high level of equity to debt ratio in its capital component. Furthermore‚ depending on the risk propensity and attitude of the management one can opt to go for debt capital due to tax shield benefit. Financial flexibility‚ this involves ease at which the enterprise can interchange debt to equity without possible cases of financial distress. For instance, promptly the airline industry is capable of making significant returns‚ while at bad times it can consider raising working capital through debt capital. Management style may be classified as either aggressive or conservative. Aggressive managers have the appetite for risk‚ hence taking the risk for them is not a big deal (Zawadzka, Szafraniec-Siluta, & Ardan, 2015‚p 358). For conservative managers, they are risk averse, so they will tend to avoid debts. The growth phase of the firm -The companies in growth stage tend to finance their operations through debt capital while well-established firms prefer equity capital more than debt capital. Market condition‚ if the company is raising funds to finance new plant having high market volatility. In such situation, there are high chances of the company to land in financial distress whereby the returns accrued from the plant are not sufficient to service the loans. From above illustration the due to unforeseen market condition during loan acquisition. The firm will be unable to meet the debt obligation as even cumulative returns for eight years cannot pay for the loan in the first year. As there is the deficit of 1,006,514-266,746=£749,768. Robust accessibility of capital‚ efficient utilization of the debt capital can help the firm achieve the significant level of growth especially when the management have ventured in the viable industry. For instance ‚ by venturing in real estate the company will be capable of recouping the money required to service the loan in a very short. After which it can invest back the capital accumulated. The net effect of this will be multiplier effect‚ which will help the firm achieve its goal for sustainable development. Best for buyout and acquisition for strategic growth‚ due to the risky nature of the debt capital it is only effective when the firm has short term strategic needs which are geared towards achieving a particular short viable objective. For instance buying of shares in the profitable company. Tax shield benefit- debt capital is tax deductible thus a high level of returns to shareholders. Costly‚ for instance in case the enterprise has secured the loan to invest the in the financially geared products such as high-yield bonds and leveraged loans. For this matter managers must monitor the interest effectively that it does not suppose the intended rate of return on investment (Homburg, 2014‚ p 414). For investors to be convinced to take such investment risk, they will need compensation regarding premium of which in case of the unfavorable market condition the firm may be unable to raise. It is the risky source of finance‚ even though financial gearing is one of the effective methods of financing operations of the firm. Extreme levels increase the risk level of the company to land at the lead to financial distress which at the advanced level can lead the Company to be put into receivership. For this reason, managers must ensure proper maintenance of liabilities and assets trend off is maintained to prevent adverse results which can jeopardize the firm’s operations. Hence, leading to financial failure which signifies the failure of the enterprise. The sophisticated analysis required before taking loans. Most financial institutions need proper business plan from borrowing individuals and companies. In such situation, the borrowing entity may be compelled to hire financial analyst consultant to do some market feasibility and come up with the business plan which is very expensive, and it does not guarantee the proposal will be accepted by the prospected lending institution. Going by the above discussion, it is clear that although using debt capital to finance operations has advantages. Such as Powerful accessibility of capital due to tax shield benefit and is best for buyout and acquisition strategic growth. It has inherent risks and disadvantages which can lead to financial distress hence bankruptcy. Thus‚ management must ensure proper trend off of risk and returns of borrowed loans and anticipated projects to be financed by such debt. Ding, X. (Wu, M., & Zhong, L. 2016. ‘The Effect of Access to Public Debt Market on Chinese Firms Leverage’. Chinese Economy, no 49(5), pp 327-342. Dong, C., Yanmin, G., Kaul, M., Charles Ka Yui, L., & Tsang, D. 2016. ‘The Role of Sponsors and External Management on the Capital Structure of Asian-Pacific REITs’: The Case of Australia, Japan, and Singapore. International Real Estate Review, no 19(2), pp 197-221. Homburg, S. 2014. ‘Overaccumulation, Public Debt and the Importance of Land. German Economic Review’, no 15(4), pp.411-435. Öztekin, Ö. (2015). ‘Capital Structure Decisions around the World: Which Factors Are Reliably Important?’. Journal of Financial & Quantitative Analysis, no 50(3), pp 301-323. Zawadzka, D, Szafraniec-Siluta, E, & Ardan, R 2015, ‘Factors influencing the use of the debt capital on firm, Research Papers of the Wroclaw University of Economics / Prace Naukowe Uniwersytetu Ekonomicznego we Wroclawiu, no. 412, pp. 356-366. If you enjoyed reading this post on negative effects of financial gearing and capital structure, I would be very grateful if you could help spread this knowledge by emailing this post to a friend, or sharing it on Twitter or Facebook. Thank you. Interest rate fluctuation and investment decision are two parallel things which investors take into consideration seriously. Due to the risk averseness of the investors and the opportunity of investments, degree of investment in different industries and sectors are different. While making investment decisions, investors consider the risk adjusted return foremost. At the same time, a good consideration about the inflation rate and the tax rate is made since investors are well aware about the real income generated from the investment. In determining the interest rate, the treasury department plays the crucial role by analysing the interest rate being offered by other competitors and the probable effects of increasing or reducing the interest rate. 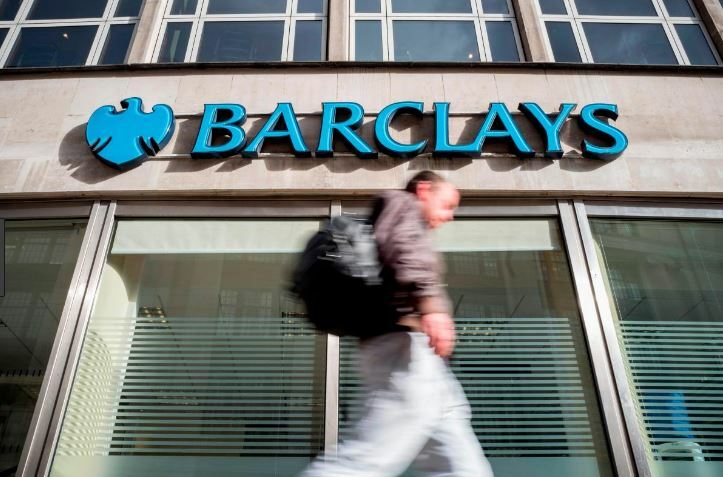 Barclays Bank has been facing the issue of lower investment due to the lower interest rate being offered and the returns to the shareholders in the form of dividends have seen significant reduction. There is a huge lost interest income due to the failure in attracting the depositors by offering higher rate. The treasury department is liable for managing the assets and liabilities in a way which secures the net worth not to be reduced. Treasury department within the Barclays Bank uses the sensitivity analysis in order to determine whether the interest rate is to be reduced or increased considering the goals and objectives of the firm. I hope you enjoyed reading this post on how changes in interest rate and impacts investment decision There are many other titles available in the Finance Dissertation Collection that should be of interest to marketing students and practitioners. There are many dissertation titles that relate to other aspects of marketing such as branding, corporate advertising, marketing strategy and consumerism to name a few. I would be grateful if you could share this post via Facebook and Twitter. Feel free to add your thoughts in the comments section. Thank you.